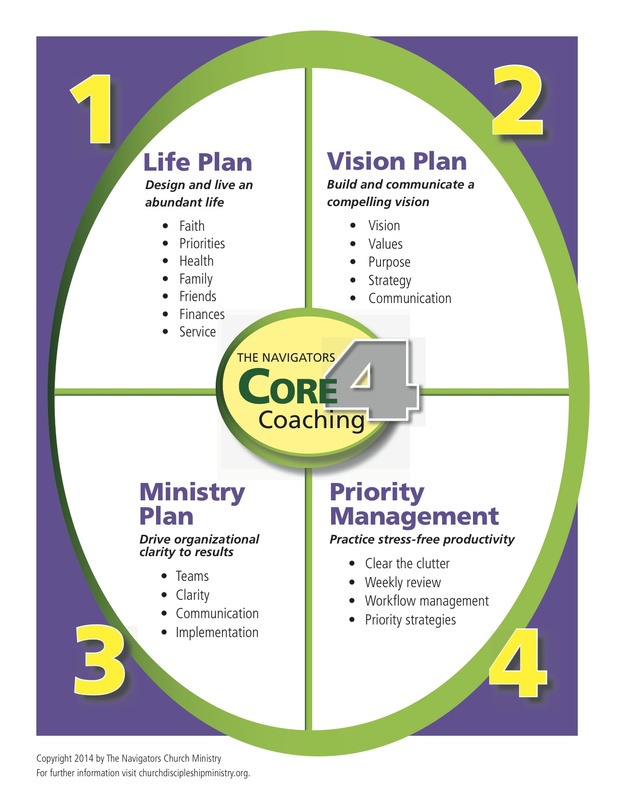 Our Core 4 helps you proactively decide how you’ll live out all areas of your personal life. We then assist in setting ministry vision & its implementation. and vision. It’s been a great process. I’m grateful to my coach Bill Mowry and the system setup that enhances clarity. So after about a year and a half of considering, then coming back to edit a number of times here’s what I have. Helping the Church excel at the Great Commission. There are several reasons why I landed on the phrase. My earlier renditions stated, “helping pastors and churches.” I wanted to shorten the statement down so I felt like I needed to combine pastors and churches. A simpler statement is easier to remember and say. But I also wanted include one other group of people. Some of the best people at discipling others are everyday people, not necessarily pastors. So I liked the idea even more of using “the Church,” because it included all these folks too. I used the word “excel” because everyone is doing discipleship and helping others to some degree. Yet we could do so much more. Our impact could greatly increase if we excelled, if we took wise intentional steps. In my earlier editions of the vision statement I would end with a phrase something like …disciple-making cultures. I liked the compound word disciple-making because it focuses the idea of my mission. I even use that particular phrase a lot in explaining it. What it lacked was that some people did not understand the full impact of being a disciple. I know in my own mind at times that I have truncated discipleship and left off the missional components. When I exchange the words Great Commission at that point it carries a lot more weight toward evangelism and expansion of the gospel. And since the Great Commission is about making disciples it fits nicely into my vision and mission. …Or rather I fit nicely into the Great Commission’s vision. Next post I’ll continue with how I accomplish this vision.